Chief of the General Staff of Ukraine’s Armed Forces Gen. Viktor Muzhenko doubts that Ukrainian society is ready for a forceful solution to the Donbas issue, Ukrainska Pravda reports. 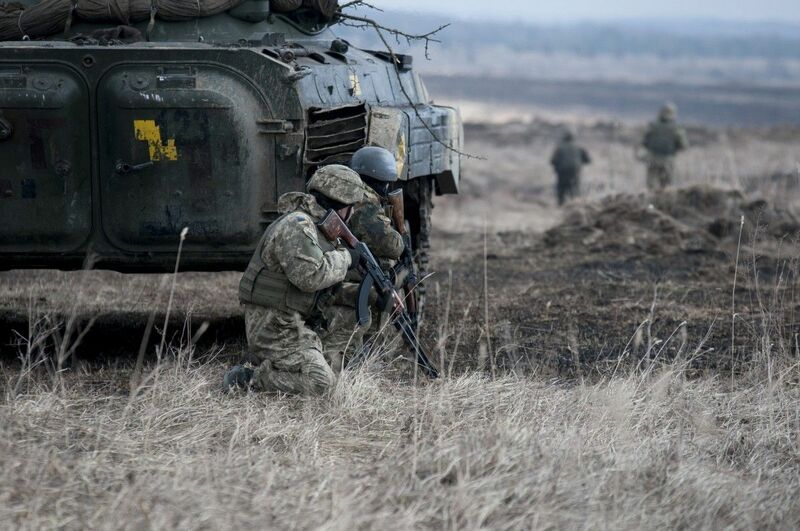 Muzhenko noted that the Ukrainian Armed Forces are ready for the Donbas resolve by force, speaking in the context of arms available and control system in place. Read alsoPGO report: Russian invasion major cause of Ilovaisk tragedyAt the same time, he added that during the exercises, special techniques are used to estimate losses. According to the chief of the General Staff, in a ten-day operation, also employing the air force, Ukraine could see casualties of some 10,000-12,000 troops, of whom 3,000 would be killed in action. Read alsoDonbas militants again use Grads, 1 WIA in last dayTalking about possible civilian casualties, the official has noted that the estimates put 10,000 civilian victims per 2,300 troops killed in action. At the same time, Muzhenko said that according to the calculations made during the drills and taking into account possible forces on both the Ukrainian and Russian sides, the Ukrainian army is resilient enough to react adequately to a possible incursion not only in the east of Ukraine but also along the entire section of border with Russia. Speaking about the possibility of introducing a peacekeeping mission to Ukraine, he recalled that it is practically impossible to implement the idea via the UN Security Council because Russia would definitely veto the move. Read alsoOSCE monitors report 26 tanks in Russian-occupied areas outside DonetskHe also said that another problem is who will be granted a mandate to conduct the peacekeeping operation. Read alsoDonbas militants preparing for protracted war – volunteerRussia, the official said, would not agree to the NATO mandate, while Ukraine will defy the CSTO mandate. At the same time, according to Muzhenko, both the U.S. and Canada are ready to deploy their peacekeeping contingent to Ukraine, but it is not clear whether Russia ever agrees to this. According to his estimates, the peacekeeping force could amount to several thousand troops.